Five Star Aluminum Cargo Carriers are made to fit vehicles equipped with 2 inch receiver style hitches. Made of aluminum for light weight, high visibility and no rust. 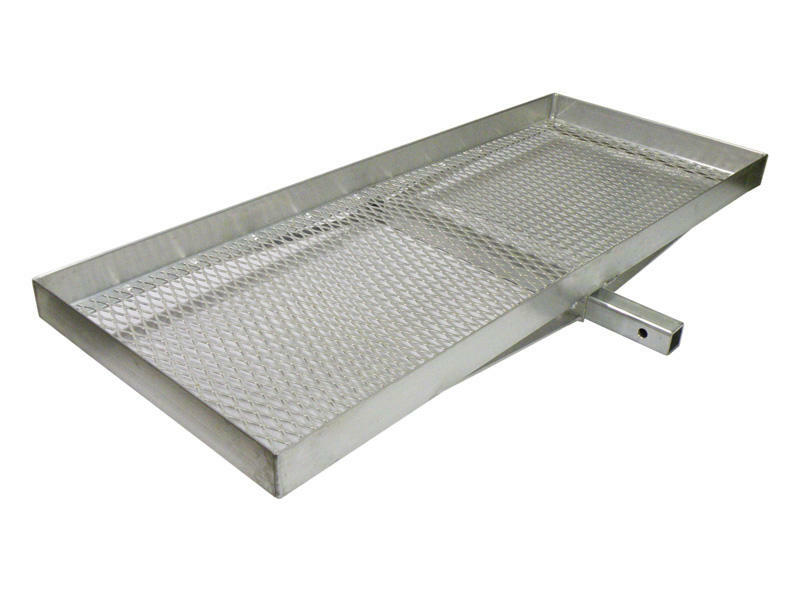 Distance from the center of the hitch pin hole to the carrier platform is 6"
Five Star Manufacturing Inc. has been manufacturing aluminum ATV ramps since 1986. In 1988 we started manufacturing our highly successful auto-body line. Five Star Manufacturing is located in Southwest Missouri and currently have 34 employees. We take pride in the fact that our products are all American made.